Rita and Douglas playwright Dave Armstrong takes drama on the waterfront back to the beginning of this new work about two of New Zealand's greatest cultural icons. 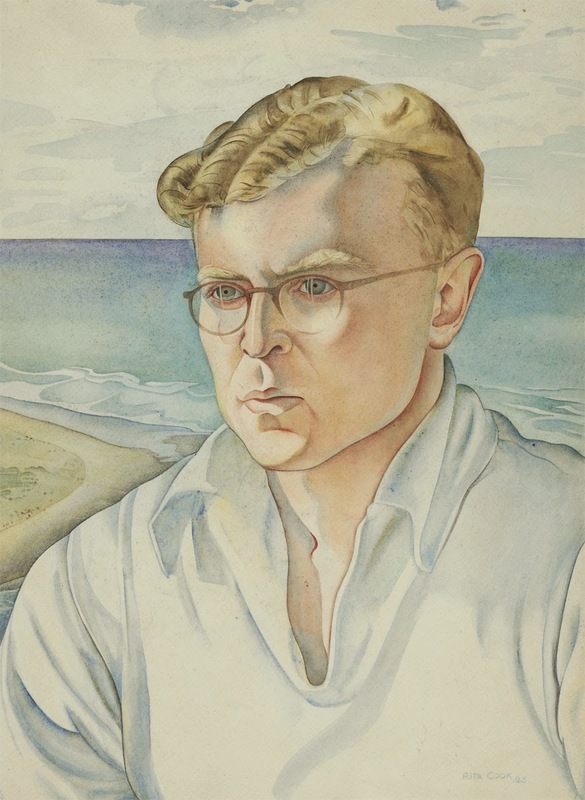 Armstrong Creative’s production of Rita and Douglas will have its first-ever Wellington performance on April 2, yet the play had its beginnings here over 70 years ago in 1941. That’s when a recently divorced painter called Rita Angus (known back then as Rita Cook, and as Rita McKenzie) met a young composer seven years her junior called Douglas ‘Gordon’ Lilburn at the French Maid Coffee Shop in Lambton Quay. They struck up a relationship, and a romance, and I won’t tell you any more as I will spoil the play! But it’s a fascinating tale that combines drama, tragedy, triumph and lots of beautiful art and music as well. Cut to 1980 and a young classical music student and trumpet player at Victoria University called Dave Armstrong found out from musicologist and composer Martin Lodge that there was a piece by Douglas Lilburn, Quartet for Brass Instruments, that had never been performed. Martin’s investigations revealed that the piece, written in the early 1960s, had just one outing with some professional musicians who had told Lilburn his piece was ‘unplayable’. Martin got a copy from Lilburn and I took a look – with the exception of one tempo marking, it was totally playable. So three other students and I met Douglas Lilburn and performed the piece for the first time ever. It was a triumph and went on to be performed and recorded by far better musicians than I. A couple of years later I was selected as a trumpet player in the 1983 National Youth Orchestra. We played Aotearoa Overture by Douglas Lilburn and the soloist in the Tchaikovsky Piano Concerto was Michael Houstoun. But to be honest I was more interested in a young violinist I met called Caroline Hill – later Caroline Armstrong who is now my wife and the producer of Rita and Douglas. We both loved the music of Lilburn and both loved theatre. Within a few years we would have both left the world of classical music and be working in professional theatre. Along the way to becoming a playwright I’d also spent quite a bit of time as a freelance writer for museums, and one of my jobs had been to write labels for exhibitions at Te Papa. 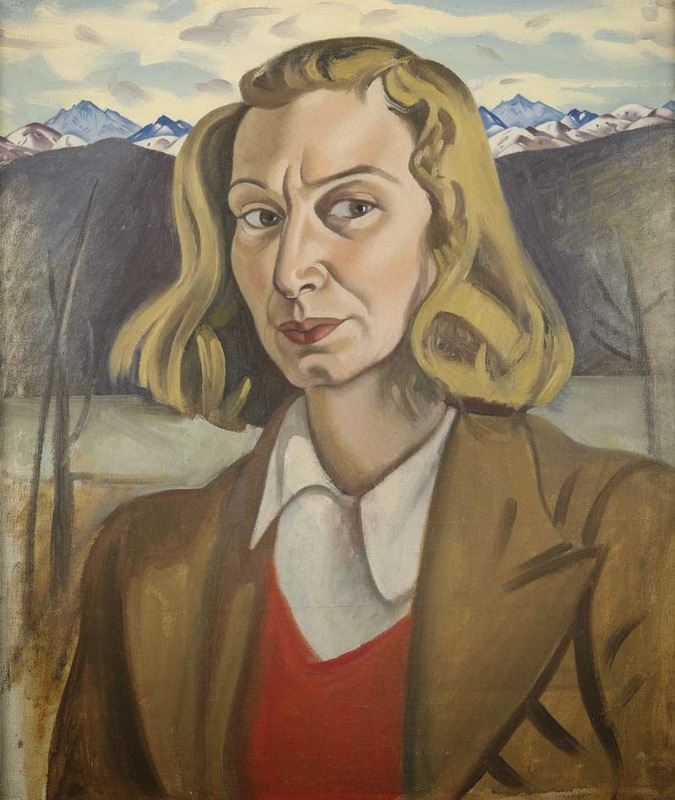 Most of their New Zealand art exhibitions contained at least one painting by Rita Angus, so I became increasingly interested in her work. In 2006, I was attending a play in Wellington when I ran into Gaylene Preston (whom I later worked with on Hope and Wire – the yet-to-be-screened TV drama series set amidst the Christchurch earthquakes). Gaylene had just completed a documentary about Rita Angus and drew my attention to the large number of letters that had recently been left to the Turnbull Library by Douglas Lilburn, when he died in 2001. They included many (like 188 A4 pages!) from Rita to Douglas (actually she called him ‘Gordon’ as he was once known). Luckily, I had worked at Te Papa with the wonderful Jill Trevelyan, and she pointed me in the direction of copies of the letters and various permissions that were needed. Jill was also a great help as a biographical consultant. Her wonderful book on Rita Angus is, in my opinion, one of the best non-fiction books written in New Zealand, and heartily recommended. Cutting down nearly two hundred pages of letters to a manageable 30-page script took a lot of time and effort. Thankfully my long-time collaborator, director Conrad Newport, had some great advice about how to do it thematically rather than as a super-straight chronology. Michael Houstoun was my first port of call as a pianist and luckily he said yes straight away. But if selecting just a few letters from the many that Rita wrote to Douglas was a herculean task, so was deciding which music to play. Lilburn wrote over four hours of solo piano music, much of it unpublished. 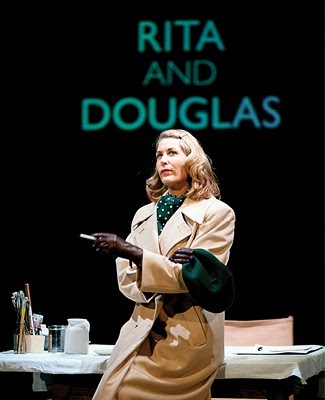 Michael and I also had to make sure that the pieces in Rita and Douglas were not too long, as the play is a sort of ‘conversation’ where Jennifer speaks from Rita’s letters and Michael plays a short ‘reply’ from Douglas on the piano. Michael helped uncover lots of secret treats of Lilburn’s and I’m delighted that Michael’s album, entitled simply Lilburn and which draws on much of the music of Rita and Douglas, has been so successful. Last year it won best classical album at the New Zealand Music Awards. Finding an actress to play Rita Angus was also a massive challenge, given that Rita’s letters start when she is in her twenties, and finish just before her death at the age of 61. Make-up and costume can only do so much! Luckily, Conrad and I realised that the core of their relationship occurred when Rita was between about 35 and 45 so we limited the play to that period. Jennifer Ward-Lealand was the perfect actress to play Rita – she had the considerable technical skills and emotional range to play her, and Jennifer also looked quite like Rita. One of my favourite moments of the show is where Jennifer is dressed just like a famous self-portrait of Rita’s, and then the painting appears on the large canvas screen which features in Rita and Douglas. With a fantastic actress, pianist, and director on board, creating a script, which I did with the assistance of Conrad and Jennifer, and getting music for the show in collaboration with Michael, was a delight. When we travelled to Michael’s place to hear the music he had selected, he would ask us after each piece if we would like to hear it again, just to be sure. Even though we quickly made up our minds, Caroline usually asked to hear it again just so she could enjoy Michael’s playing for longer. But once we had script and music together, we were far from the end. Rita and Douglas has over 100 images of Rita’s paintings. First we had to clear copyright from the institutions which owned the paintings, as well as the artist’s estate, then we had to arrange the images to go with the script and music of the play. It was a massive task with video editor Danny Mulholland, Robert Larsen, Conrad Newport and Paul O’Brien being some of the main hands that came to the pump to assist. I really hope you like Rita and Douglas, it’s got so much to say about New Zealand, and you’ll marvel at not only the beauty of Rita’s paintings and Lilburn’s music, and the incredible performances of Jennifer and Michael, and the consummate direction of Conrad Newport, but all the dedication, foresight and talent of Rita Angus and Douglas Lilburn, surely two of our nation’s greatest artists. Rita and Douglas opens in Circa One on 2 April and runs until 12 April. To book for this short season, call the Circa Box Office on 801-7992 or visit www.circa.co.nz.